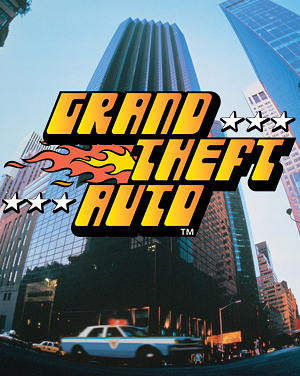 The controversial Grand Theft Auto series games are set in fictional cities modeled on major US cities. 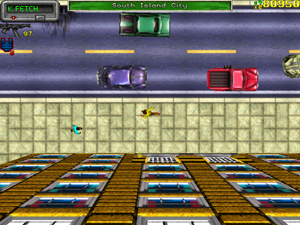 In the games, the player completes missions for various crime syndicates but they may also complete various side missions or activities. In the original game‘s PC version, players can choose one of eight player-characters (four male, four female), though the PlayStation version only includes the four male characters. Most other games in the series focus on a single (always male) protagonist, and have more detailed narratives (a list and description of each game is available here). 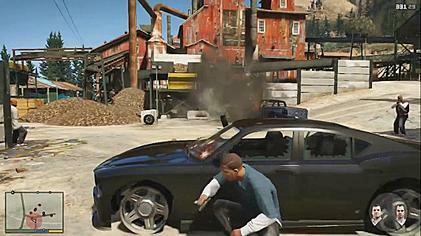 In addition, the graphics in the series have become increasingly photo-realistic (images below are of GTA 1 and GTA V).